Today, Cayne and I took Ethan on his first "picnic" -- we went to Franklin to let mom and dad's dogs outside and to set up wireless internet in their house before heading over to the park for a walk. 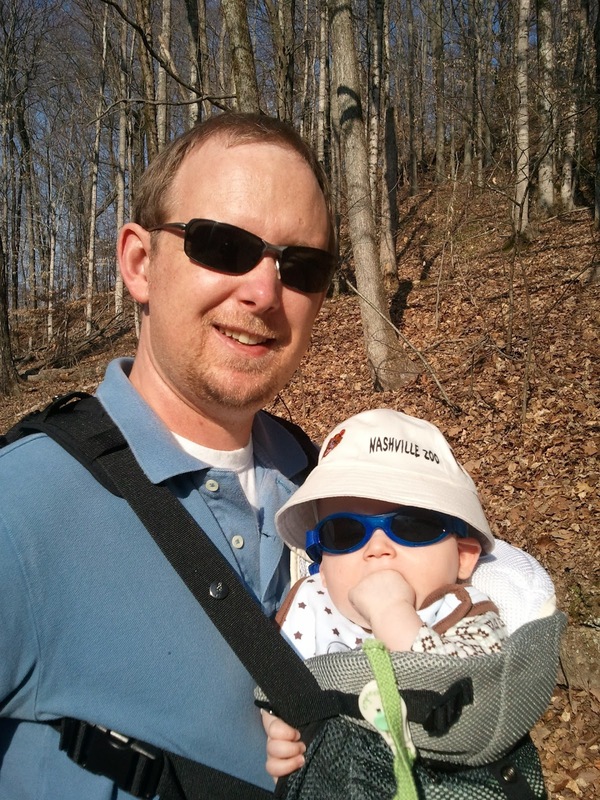 It was such a beautiful day outside today (73 degrees) that we thought a picnic at Edwin Warner Park would be nice. 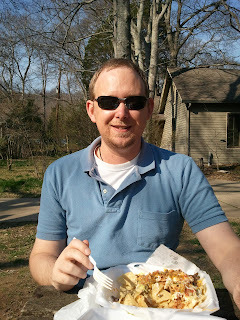 We stopped at Oscar's Taco Shop for some healthy super nachos and rolled tacos to take for our picnic. Mmmm -- super nachos are perfect "lite" fare before a walk. 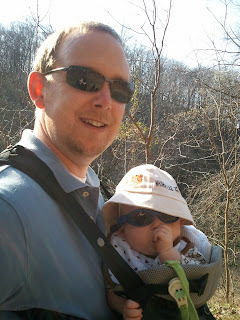 We ate on some picnic tables by the Nature Center pond. Ethan, of course, didn't get to enjoy any of our delicious food but he definitely acts like he wants to try some soon! 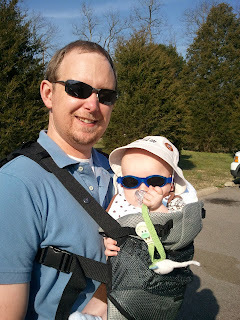 After our meal we got Ethan situated into his carrier and let him try out his new BabyBanz sunglasses for our walk. 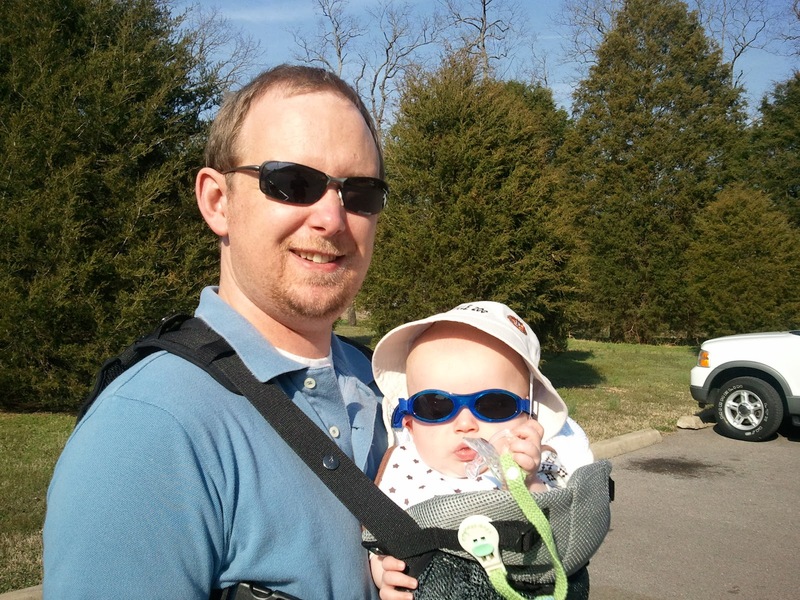 He loved the sunglasses and seemed to enjoy our short walk through the park. on the whole time, but he did!